If you're a B2B marketer, you're probably obsessed with your customers, and you attempt to collect data from them during their buyer journeys. You'd like to know more than just the source of your website traffic, referrals, and conversions: How often do people visit your webpages? How long do they stay? When do they leave? What content is getting the most conversions? Without such data, marketers can't see what they're doing right and, more important, what they're doing wrong. Many B2B marketers continue to use Google's old Universal Analytics platform for website lead attribution, even though Google Tag Manager was released in 2012 to improve its tracking capabilities. If you're a digital marketer and you don't use Tag Manager yet, it's time to get up to speed. Google Tag Manager (GTM) is a "container" in which all tags are held, including from Google Analytics and other third-party integrations. Still need some convincing? Here are five reasons B2B marketers should implement Google Tag Manager into their analytics programs. 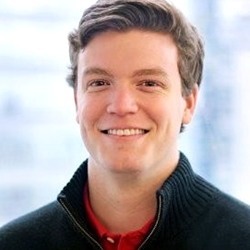 Scott Zimmerman is a search analyst at Walker Sands Communications, specializing in buyer journey tracking and technical website performance for technology companies.